Nothing is more enjoyable than eating an icy treat while spending the day at the pool or beach in the summer. Snow cones are a summertime tradition, and their sweet, icy goodness are enjoyed the world over. Now you can make your own snow cones, however you want, with our three quart of snow cone syrup package. 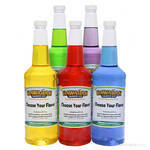 Choose your own snow cone syrup package from our variety of delicious flavor choices. Don�t spend your money at overpriced concession stands or the grocery store. Snow cones are an inexpensive summertime treat that�s incredibly easy to make. When you choose your own snow cone syrup package, you can mix and match to create your custom snow cone flavors. How about lemon-lime, cherry and grape? 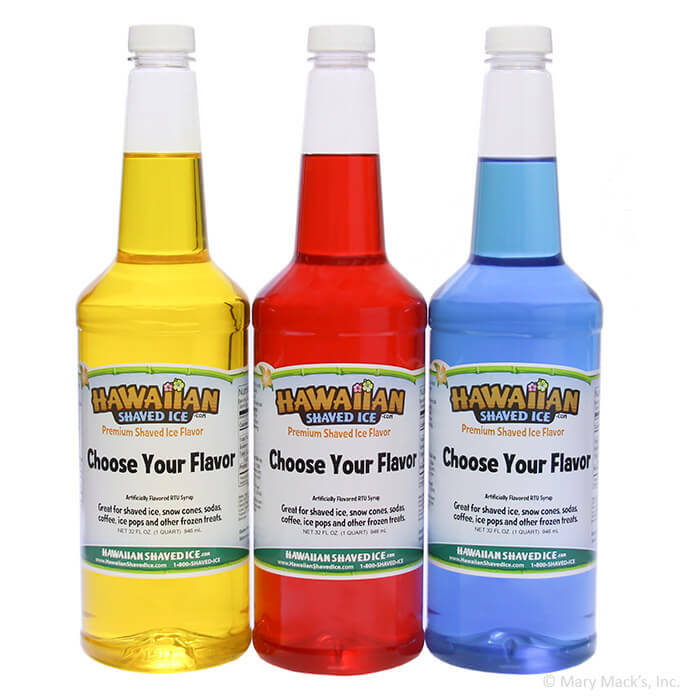 Everyone at home will enjoy their favorite flavors and flavor combinations. The three quart of snow cone syrup package also saves you more than 25 percent than buying individual quarts. 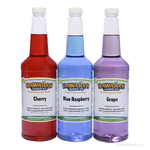 Check out all our single quart size flavors available.